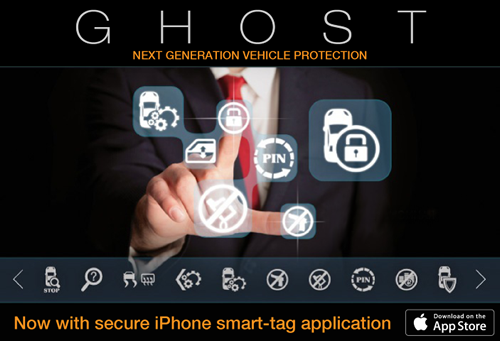 CBS Automotive would like to introduce the Ghost immobiliser from AutoWatch. This CAN bus immobiliser is the world’s first of its kind, giving your vehicle the protection it deserves. This product can be supplied and installed to the highest standards by our accredited team at our offices in Cambridge. The Ghost immobiliser protects your car against key-cloning, key theft and even hacking. With the technology and prices of new vehicles in Cambridge, the Autowatch Ghost Immobiliser is the perfect option for a security upgrade. Please call us on 01223 56 30 30 to discuss if your vehicle is compatible. With a discreet installation, the product has no key fobs or LED indicators that would give away the location of the product. The Ghost product installed in Cambridge by CBS Automotive makes use of the existing buttons in your vehicle to allow for a unique and changeable pin code sequence that must be entered before you can drive the car, even if you have the key. This can be set up with to make it even safer by creating a pin sequence with up to 20 presses long. To make your every-day life nice and easy there is a downloadable iPhone application that will allow you to drive your vehicle away without a pin as long as your phone is in the vehicle. This iPhone pairing allows a single, authorised, connection with a secret pairing code that is unique to every Ghost and communication between the Ghost and the iPhone is encrypted. All you have to do is pair your iPhone with your Ghost, leave the Autowatch Ghost application running in the background with Bluetooth enabled and you can drive conveniently and securely.